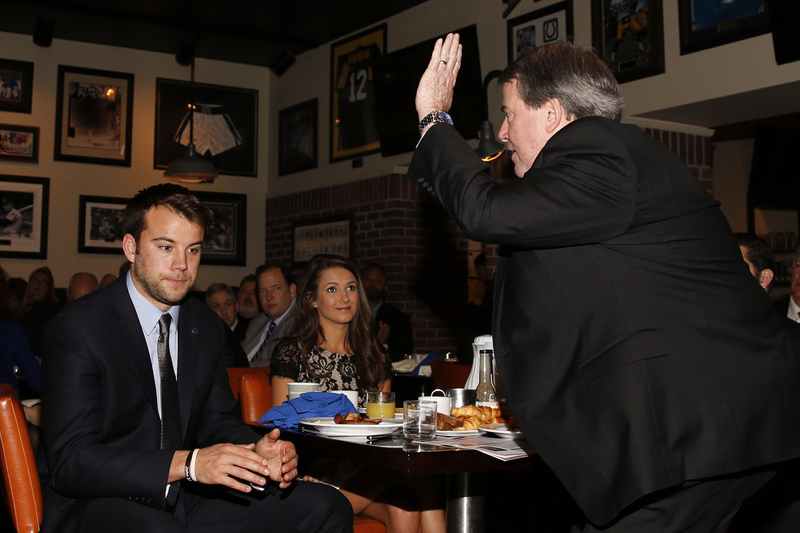 Steve Hatchell, president and CEO of the National Football Foundation, acknowledges the audience at the FWAA Awards Breakfast on Jan. 9, 2017. At left is Zach Terrell, quarterback at Western Michigan and winner of the NFF’s Campbell Trophy, which goes to the top scholar athlete in college football. Photo by Melissa Macatee.